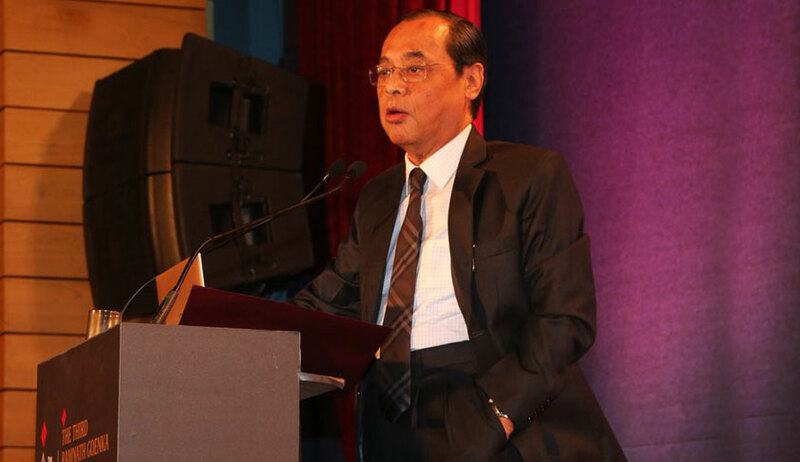 The senior-most puisne judge in the Supreme Court, Justice Ranjan Gogoi on Saturday rejected the suggestion for a fixed tenure for the Chief Justice of India, and asserted that instead, India needs a consistent judicial policy. Justice Gogoi’s reaction came as a response to the suggestion of a fixed tenure for the CJIs by Prof. N.R. Madhava Menon, former Vice Chancellor of National Law School of India, Bengaluru, during the day long deliberation on "National Initiative to Reduce Pendency and Delay in Judicial System”. Speaking on the occasion, Justice Gogoi also flagged the issue of the massive pile-up of cases, saying the judicial system was not prepared for the “huge influx” of the number of cases coming for disposal. He also addressed the issue of growing judicial vacancies, pointing out that there exist 5,984 vacancies in lower judiciary with Uttar Pradesh with 1,344, Bihar with 825 and Madhya Pradesh with 748 vacancies topping the list. In this background, he referred to a committee report which had found that the entire process for the recruitment of judges in the lower judiciary should be completed in 273 days. However, he said that while Delhi took 762 days and Jammu and Kashmir took 900 days, Pondicherry could finish the exercise in 99 days.